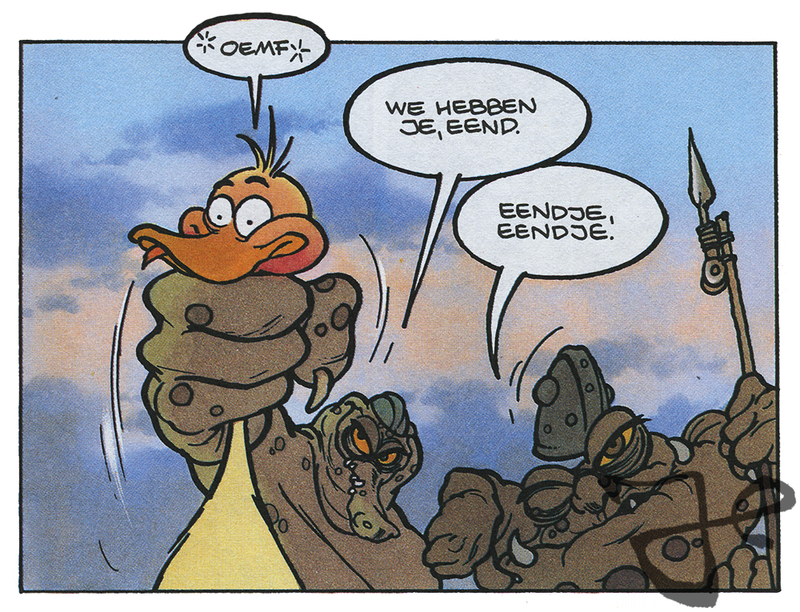 Today marks the 31st anniversary of the first comic book about the adventures of the duck Alfred J. Kwak. 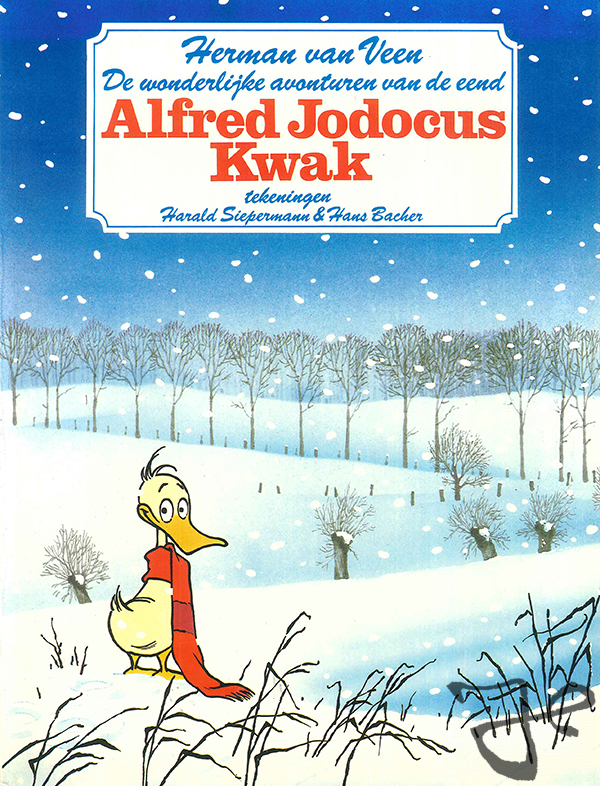 The first time Harald Siepermann officially drew Alfred J. Kwak was for the poster design of the German stage play in 1985 by Herman van Veen. 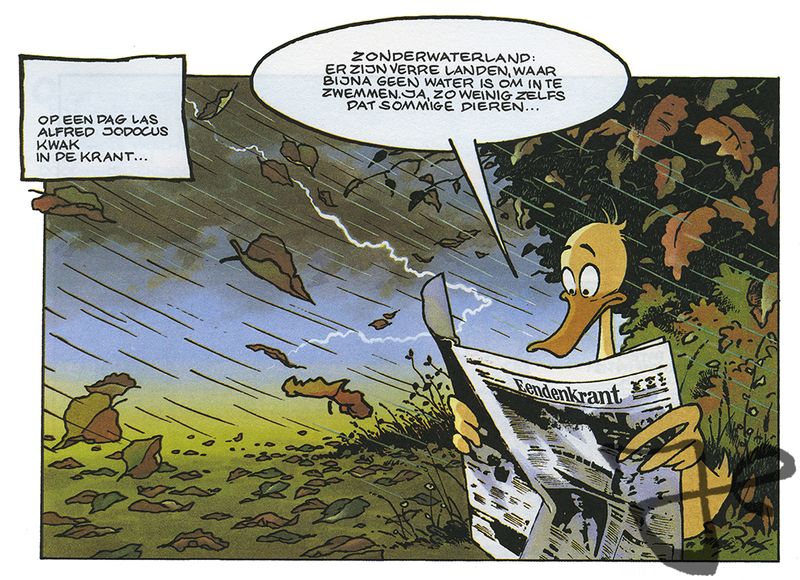 At that time Alfred J. Kwak looked more like Donald Duck. 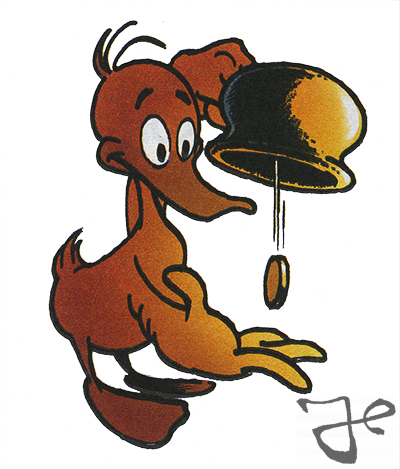 In the next few years Harald Siepermann kept developing the character before he got his iconic look with his yellow fur and red scarf that appeared in the first comic book. Harald Siepermann designed the comic book together with Hans Bacher, his friend and teacher from the Folkwang University. 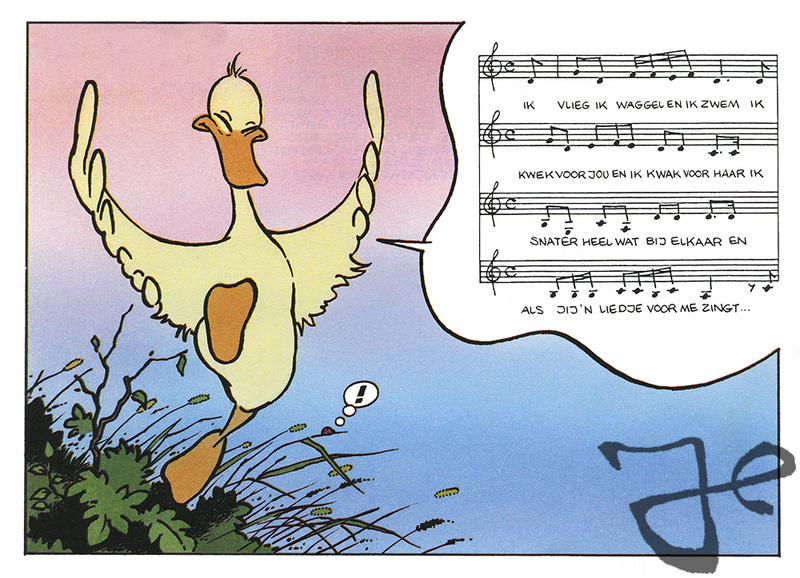 The story was based on the theater play by Dutch entertainer Herman van Veen, who invented the character Alfred J. Kwak. 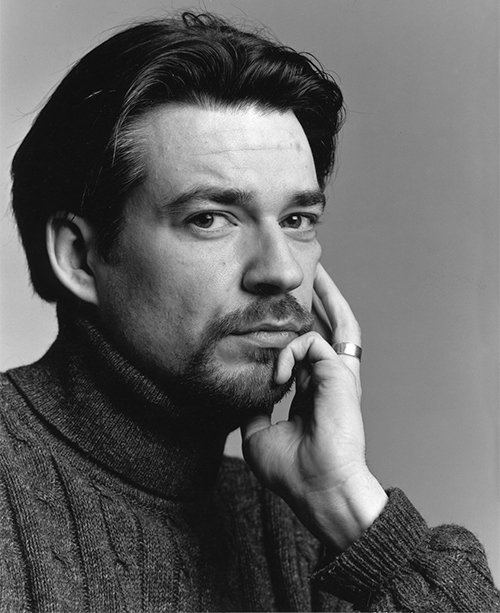 Siepermann designed the characters and drew them in numerous poses. 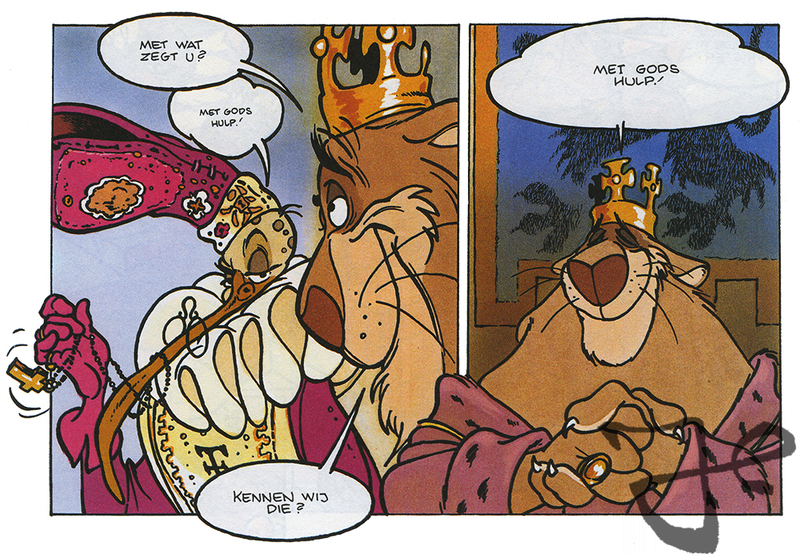 Bacher placed Harald’s designs in a comic book layout, did the inking, and created the colors and backgrounds. The launch party for the comic book was held on February 18, 1987, at the Artis zoo in Amsterdam, the Netherlands.